The Simple Inked Value Add feature gives you, the studio owner, the ability to encourage your staff to up sell specific services to your customers when they come in. This also allows you to track their performance as the figures are collated in the Operator Report. Let's just say that you would like to promote a particular service when a client comes in for a tattoo. Simple Inked is set up to rack these 'up-sold' services. Setting up a Value Add service to 'Up Sell'. Go to your Settings, then Application Settings. 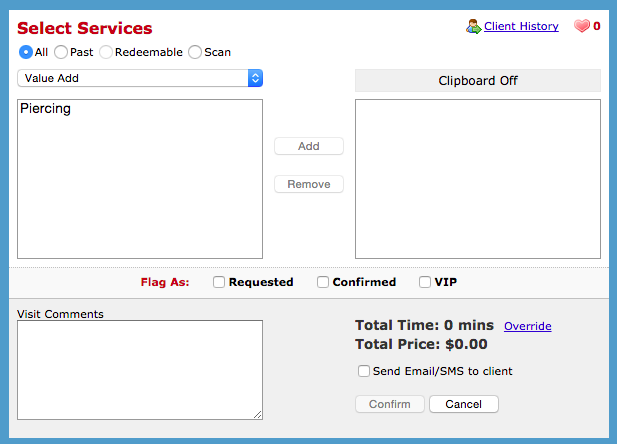 Tick Enable 'Value Add' Services and click Save. Now when you go into the Services tab, in your Admin page, and you will see that down on the left hand side under Categories, you can select Add Value. We want to promote a Value Add service; in this case the Repair Treatment, to increase our service revenue. Click New. On the right side panel enter in the details of the new service, which you would like to up-sell, and Save. Making an appointment for a Value Add service. Click the time slot in the operator column to make the appointment. Search for your client and click their name in the Search Results. 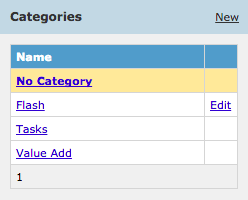 Select Value Add from the category drop down menu in the Select Services window, and Confirm. Now anytime a client comes in for a colour, you can ask your staff to suggest one of your Value Add services as well , in turn increasing the clients average spend. Tracking operator performance and how well they are up-selling. You can check how well your operators are up selling a service by going to Reporting, then Report List. Under your Operator Report you will be able to see how many of your operators are up selling the service by referring to the Value Add column for each operator. Start using this feature to increase your sales now!